Today I have a NEW and HOT product to share with you. I found these a few days ago upon walking into Rite Aid. They are the Revlon Ultra HD Matte Lip Colors and the price at Rite Aid was $10.99 each but since Revlon was 40% off, I got them for $5.99 a piece. The display had six shades, I picked up four to share with you. I had up until that point never seen these before so I was super excited, and when I posted on Insta the reception was the same. So let me share with you my impressions and if I think they are worth the money because they are not exactly cheap at their regular cost. I do like the presentation of these lippies, I think the bullets look very cool and different. The tubes are pretty huge and the color range was not bad. If I remember right, the shades I did not pick where two cooler pinks but I like all the shades I did get. Presentation wise they have a good look about them. What about the formula? 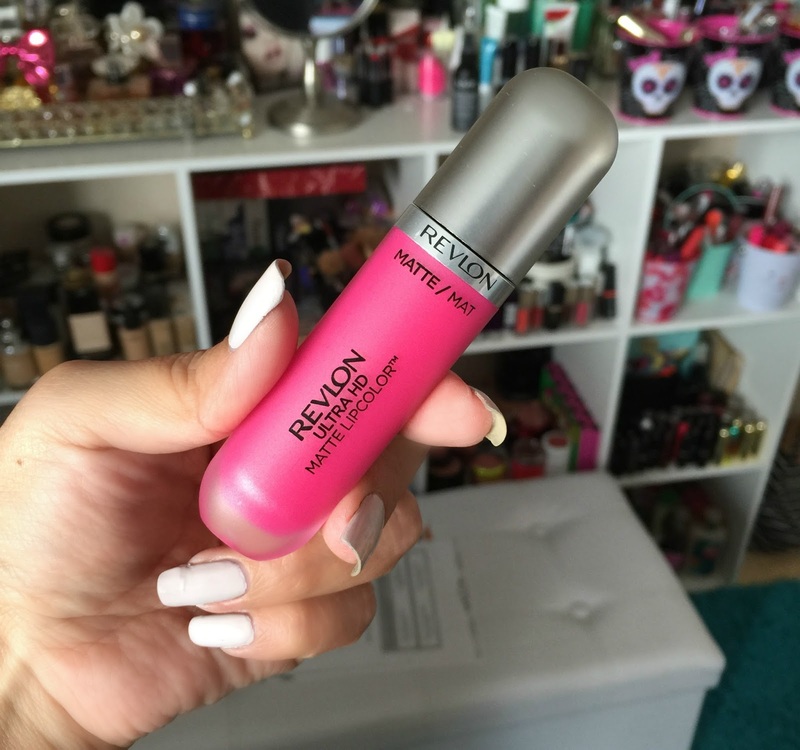 So my first thought was that this would be Revlon's take on the liquid lipstick trend that is so hot right now. I was sure that it would be an ultra-matte lipstick that stayed on till you took it off and that the finish would be a matte/dry formula. None of the above actually. Revlon Ultra HD Matte Lip Colors are more like the Rimmel Velvet Matte lippies that came out earlier this year. 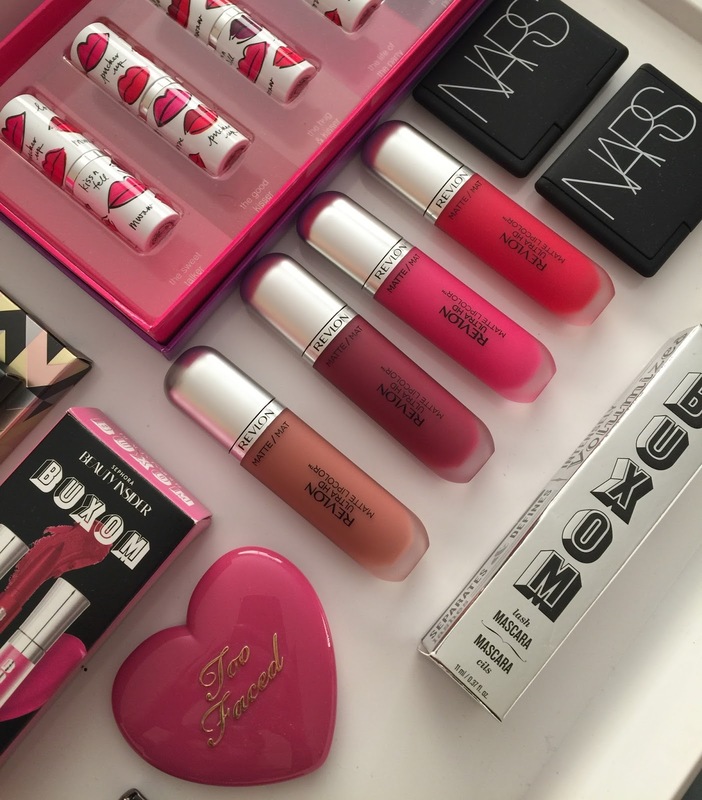 These go on very soft, very smooth but they don't set to a liquid lipstick matte finish at all. They stay moist but without a shine, so are more of a velvet matte. 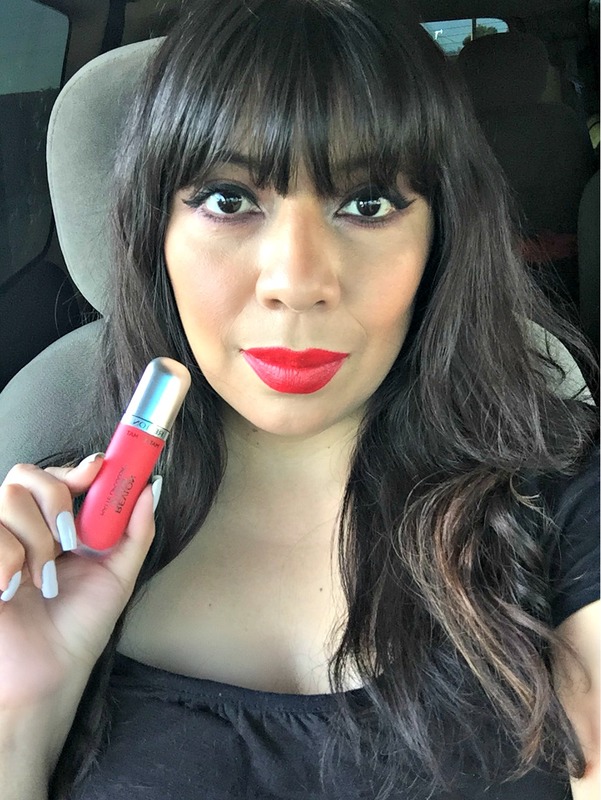 I have worn two and found that the whole 3-4 hours I wore them, I could rub my lips and they still felt soft and moisturizing (mostly at the beginning), BUT that's why they do not have staying power. When you eat or drink they transfer and when I went to wipe some off my mouth so I could eat, it all came off. I tried both of the darker shades so I was left with a stain each time but it's disappointing that they come off so easy. I went so big with my swatches that I had to dip the wand a few times to get more color out and even though I had them on my arm for almost an hour, these swatches never dried/set. I possibly needed at least another hour, which shows you how totally different from a liquid lipstick they are. In fact the more time I spend with them, the more I feel like they are really similar to the Revlon Colorstay Moisture Stains from last year. The finish is similar and I think the formula is too. I have four of those and sadly they are not holding up well, they smell very chemically and the formula has thinned out so much it's almost watery. I will have to throw them out soon and they are barely a year old, or less. As you can see this shade (HD Love) is beautiful on. I don't think the shades are bad at all, but if you are looking for a liquid lipstick (ala Colourpop), this is not it at all. If you prefer moisture on your lips, I know a lot of people don't like the dry feeling of liquid lippies, then you might like these. They smell great (sweet) and the pigmentation is good, they make your lips feel nice and soft, and if you don't mind reapplying every few hours then give them a try. I might be taking mine back just because they really are reminding me of Revlon Colorstay Moisture Stains and since those are not even lasting a year without going bad, I don't want to risk this being the same case. 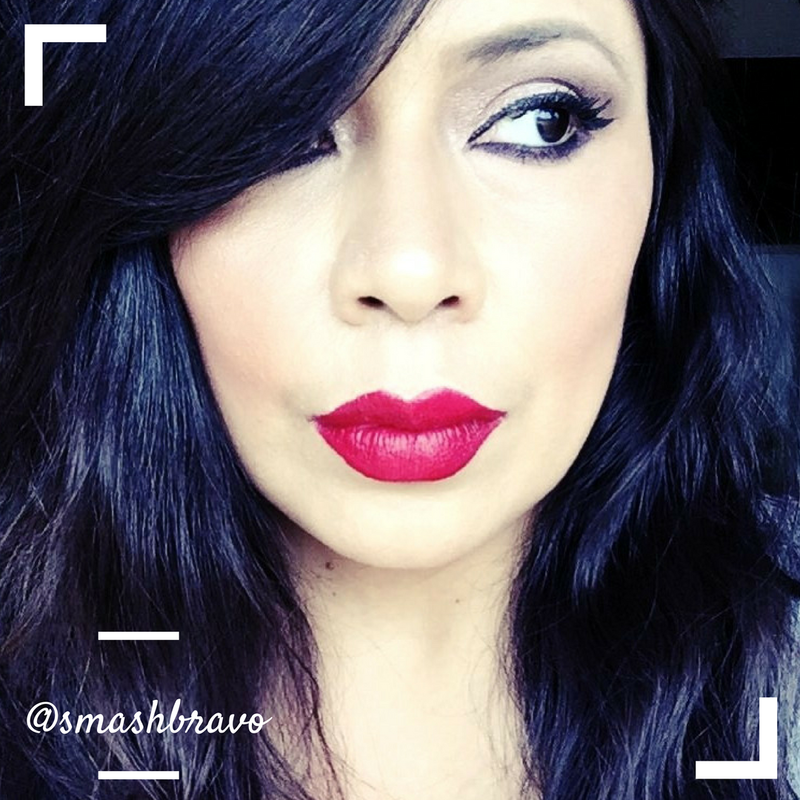 This is my take on the new Revlon Ultra HD Matte Lip Colors. I would love to know your thoughts on this new launch. Will you be trying them out or have you already? I love these! Seduction is my fave.